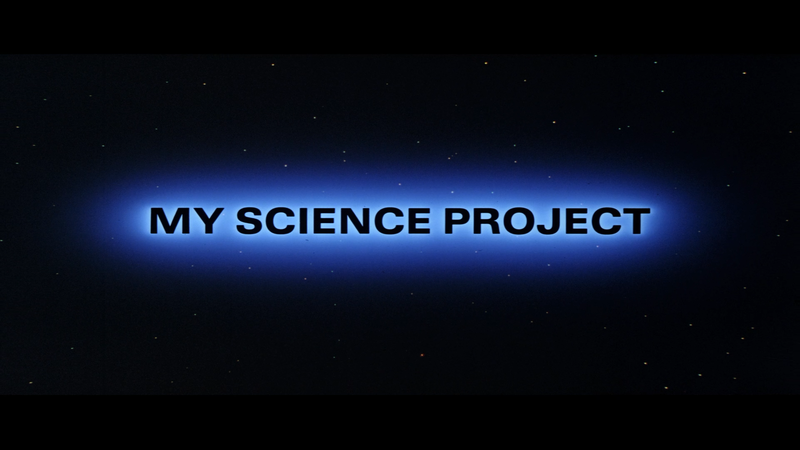 My Science Project is somewhat of a gem, forgotten one at that, of the 1980s overshadowed by Back to the Future, Real Genius and Weird Science, the last two interestingly coming out the same year as MSP… Although it’s not as tightly written both in terms of plot and characters, it’s still a fun little flick. 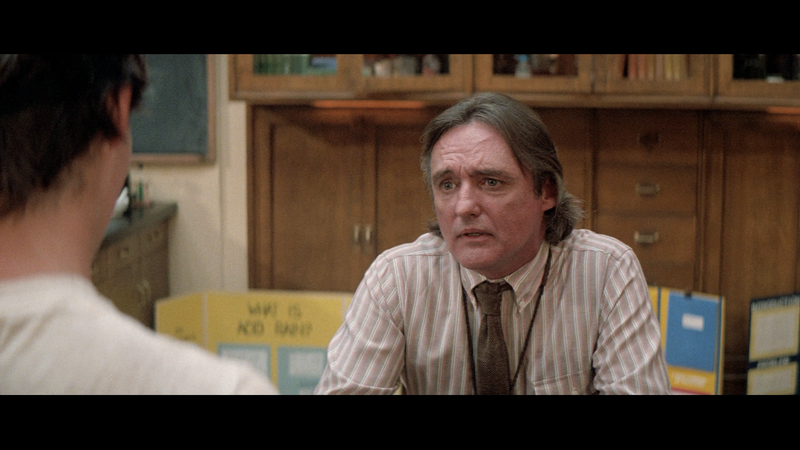 Michael Harlan (JOHN STOCKWELL) has procrastinated on his science project until the last minute, and his teacher (DENNIS HOPPER) issues him an ultimatum: turn in a science project or flunk. So with the help of a couple of friends (FISHER STEVENS, DANIELLE VON ZERNECK), Mike scavenges a military base’s junk pile for a suitable gizmo to pass off as his project. He finds one… and unwittingly unleashes the awesome power and energy of the unknown. Twisted dimensions and time warps collide to create a whirling vortex that takes the class on a startling adventure back in time and into the future. No features were included, not even a scene selection submenu. 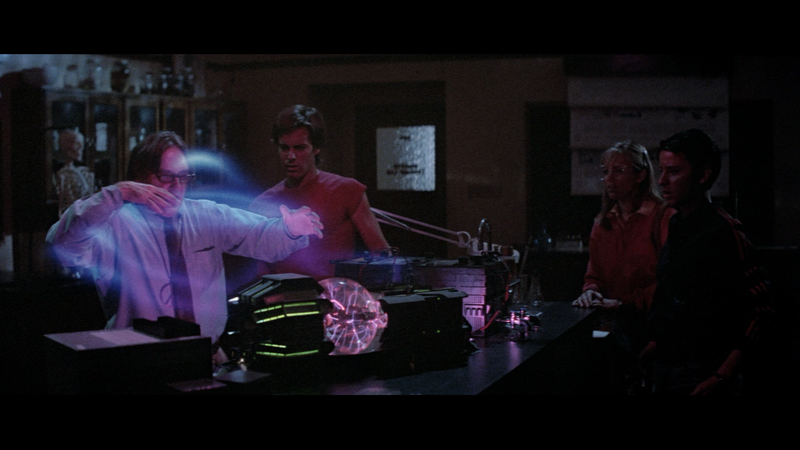 Mill Creek unleashes My Science Project onto Blu-ray presented in the film’s original 2.35 widescreen aspect ratio and a 1080p high-definition transfer. The picture isn’t anything I’d call spectacular or anything but certainly more than adequate for a film going on 30 years. Colors are generally pleasing and there didn’t appear to be many major instances of artifacts, aliasing or other major flaws. As with other of Mill Creek’s bargain titles, this only comes with a standard Dolby Digital 2.0 track which is perfectly fine but nothing extraordinary. Dialogue levels sounded clear and other elements, such as the more action-centric parts toward the end, come through well enough but is obviously limited. 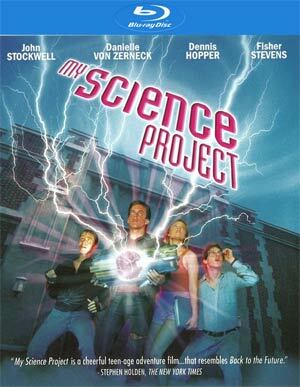 Overall, My Science Project is somewhat of a gem, forgotten one at that, of the 1980s overshadowed by Back to the Future, Real Genius and Weird Science, the last two interestingly coming out the same year as MSP… Although it’s not as tightly written both in terms of plot and characters, it’s still a fun little flick worthy of watching along with the rest. The Blu-ray released through Mill Creek is the epitome of no-frills, however, with no bonus material and a so-so lossy audio track.